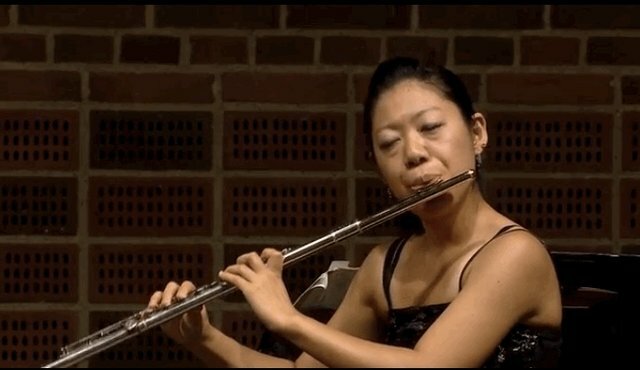 When flutist Yukie Ota began her performance at the Carl Nielsen International Flute Competition, she likely did not expect for a butterfly to descend upon her face - but that's exactly what happened. 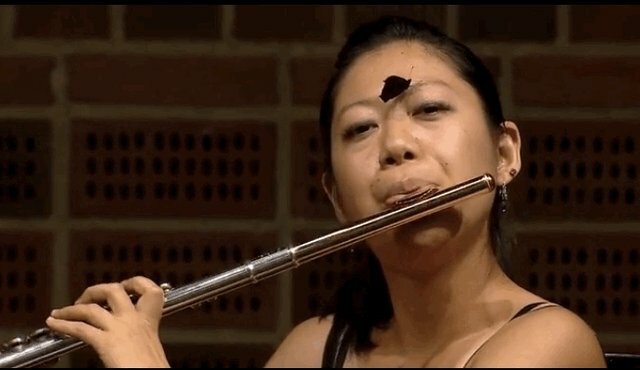 This small Peacock butterfly came down and landed on Ota's noise, almost as if he were drawn by her spellbinding flute performance. 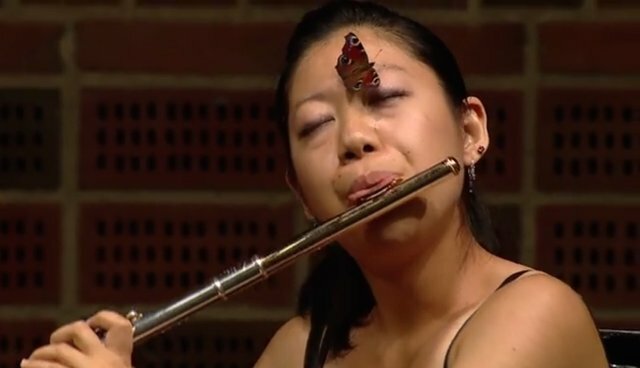 Though it is lovely to think that the butterfly was lured by beautiful music, like something out of a Disney movie, butterflies are actually not known for being very responsive to music, as their hearing is not very acute. Regardless, the little butterfly was a well-behaved spectator, and stayed perched politely on Ota's face for the remainder of her performance. 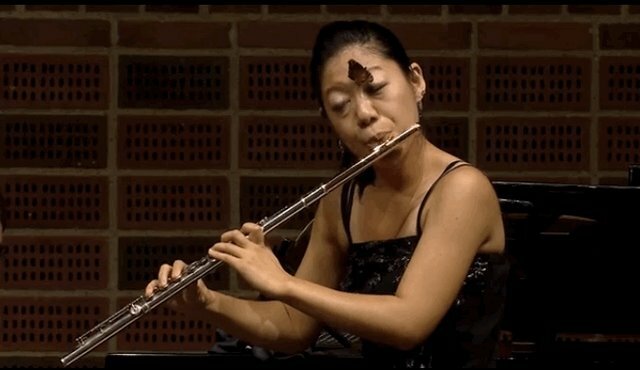 Once the performance was finished, Ota gently ushered the butterfly off of her forehead, and he fluttered away. When butterflies land on humans, they are often drawn by smell, either of perfume or perspiration. Since butterflies taste with their legs, the best way to inspect a sweet-smelling prospect is to land on it. If a butterfly should land on you, it's best to not touch them, if possible. They will fly away of their own accord.